Kobi Kihara Challenge started last Friday August 24th after the former NTV anchor was exposed for lifting photos from other sites and posting on her social media accounts to fool her fans she was living large in US. Kenyans are still making fun of Kobi Kihara using #KobiKiharaChallenge. Celebrities too couldn’t resist poking fun at the former NTV anchor. Khaligraph Jones took to Instagram to thank America rapper Eminem for joining hin on stage in Kisumu to perform together in #KobiKiharaChallenge. 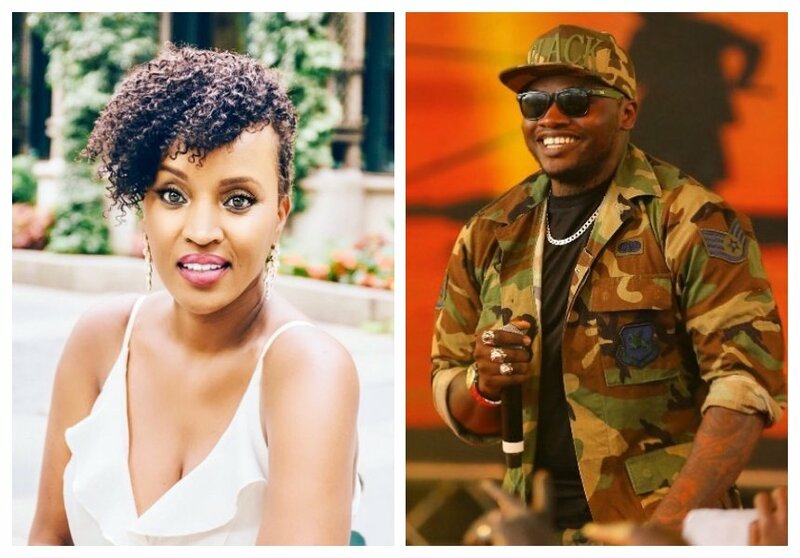 Kobi Kihara caught a major one and she decided to respond to Khaligraph’s joke. She commented on the rapper’s post urging him to stop the joke since she had already apologized for living a lie. “Tutaishi hivi? 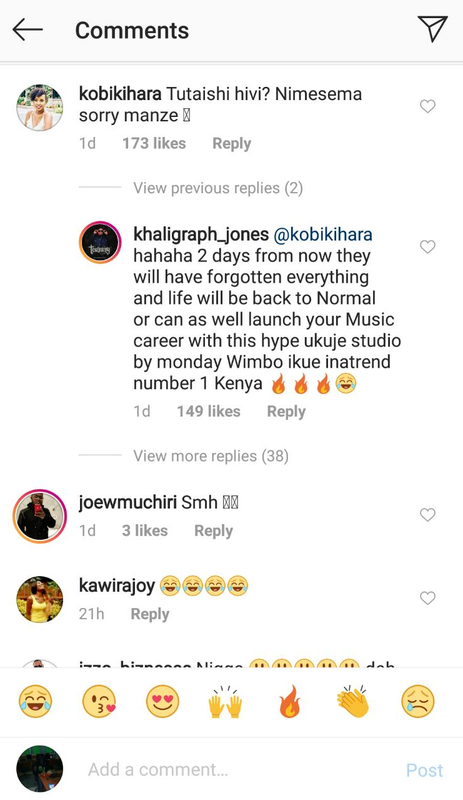 Nimesema sorry manze,” Kobi Kihara commented on Khaligraph’s post. Khaligraph also responded, he explained to Kobi that the joke would end in a matter of few days. He further said she could use the hype to launch her own music career.